I’m happy to introduce friends and family to another friend I’ve made online. Justin Bog (or Bogdanovitch from his original, really-hard-to-get-your-mouth-around family name) joined Triberr at about the same time I did last October. He had just started building up his online presence then, so we didn’t get to see much of the historical stuff you can find with people who’ve had accounts for a while, but we didn’t need any of that background to discover his warm-hearted, supportive nature. He’s been involved with books and writing his whole life, and now that he’s taken the plunge and published his first short story anthology, I’m happy to welcome him here to help promote that work. 1. You’re a remarkably private person. What motivated you to release your first collection of short stories? First, Tonya, I thank you for inviting me to your wonderful place. I’ve been reading (and subscribing to) your blog since last fall, and I love the books you review. I look forward to reading your new book, Dust to Blood (Red Slaves). Well, I used to be more private. 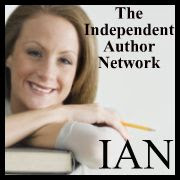 I didn’t have much of an online presence until I joined Twitter at the end of June 2011 at the insistence of my partner at In Classic Style, the e-Magazine where I provide pop culture recommendations. Last year, I sent my first novel out to a publisher using a contact, bypassing agents. At the same time I had started writing my own blog, posting about once a week. While I waited and waited to hear what the publishing house thought about my novel, I quietly toiled away, and published ten stories on my blog by the end of the year, and also a holiday story. I never heard a word back after six months, and sent the book to someone else in the same big publishing house, another contact, a higher up, and, still no word. I do know that the offices of the editors look like an episode of Hoarders, with stacks and stacks of print manuscripts dotting every surface, and more “invisible” stacks of emailed PDF manuscripts, as mine was. These people don’t have much time to discover any gem in a stack like that. Not even Rumpelstiltskin can help them out. A bit discouraged, I just kept my head down. Within three months, people started to converse more with me on Twitter and Facebook, and I enjoyed talking to so many people of diverse backgrounds, not just writers either, although the writers are lovely. I like to cook so I follow a bunch of foodies. In October of 2011 I received an invitation to join Triberr, and found entry into a group of writers and bloggers who help share each other’s writing and blog content. This was great, but my old Posterous blog couldn’t link up correctly so I had to ditch it for WordPress at the beginning of 2012. Then, I really connected to many more people, and, luckily, I watched a Webinar on turning your blog content into a book. I thought: I have those ten short stories just sitting there and I loved writing them, revising them and putting them into a book to share with others who love the short story form. 2. How did you select which stories to include? What stories didn’t make the cut? Can we expect a second collection soon? I used all ten of the stories from last year. I have other stories I have written, but they aren’t revised enough to post on my blog. I like publishing them on my blog in their second and third drafts. Then, I edit them more, see mistakes, fix awkward sentences. So, I will probably have more stories for a second short story collection ready to publish by next year. I have a novel ready to publish this coming fall after another round of editing, even though this has been professionally edited. I do believe writers should hire editors, and get a lot of people to read their work in early form. 3. You’ve mentioned that your cover is extracted from one of your dad’s paintings. What made you decide on that image? How does it connect with your collection of stories? I’ve loved my father’s crowded beach painting ever since he painted it back in the early nineties. This Boardwalk collection of paintings was shown at a very fine arts gallery in Chicago, and this particular painting sold to someone with a second home in Wisconsin (or, that is the story I was told). There are several stories in the collection with a sea, beach, shore, Lake Michigan, or island setting. The title story called out for a book cover like this. The funny thing though is I even mention a red-and-white-striped beach umbrella in one of the tales, and the art fits. I wanted to lull any reader into the piece, look at the happiness on display, and realize, after reading what lies within, that happiness might be a shell. 4. You were born in Allentown, Pennsylvania, whisked off to Pullman, Washington until the end of first grade, and then landed in Granville, Ohio until high school graduation. How does that central US perspective play out in your work? Well, I left Ohio to go to the University of Michigan. I know: traitor! A couple of the stories are set in Michigan: Typecast and Mothers of Twins. Only two of the stories are set in Granville, Ohio: Cats In Trees, and the story where I used my family home as a setting, On the Back Staircase, is the most autobiographical. The rest are all over the map: Atlanta and a cruise ship, an island off the coast of Maine, a beach on the Jersey shore (that’s where Sandcastle takes place even if I don’t say it in the short story. My dad is a Jersey shore guy from the fifties), New York City, two stories are set in California, one in L.A., one on the beaches below San Francisco, and a train station that could be anywhere. I moved to Idaho after my final schooling, and then finally made it to the Pacific Northwest coastline. I love living close to water. 5. You spent quite a few years managing book stores. What gave you the push to join the other side of the ledger with your freelance writing? I was always writing, but before last year, I never spoke about my writing with anyone, and I never sent anything out except to the rare story contest, just to keep my engines going. With ePublishing becoming a simpler thing to do, I finally wanted to jump in. 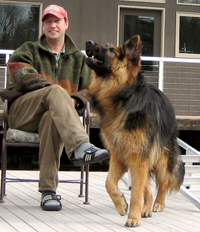 After my mom died in 2008, I realized life is too short, and why not share the writing that I already enjoy with my friends. I like the stories. The friends seem to like them too. If a stranger picks up and reads the books I write, all the better. 6. What drew you to the short story format? Short stories are what I have always loved to read. Novels too. My short stories all start out very short, maybe one or two pages. There’s a beginning, middle, and an end, even if everything isn’t nicely wrapped up by the end — like in life. Then I work on expanding the scenes, adding characters that need to walk on stage. Sandcastle began with the image of a balloon let loose by accident on a crowded beach and the little girl is crying to her mother. Then I thought: what if the mother is at the end of her rope, having one of her days, just wants to not have to look after her even though that is her job. And then: what if there is someone watching the mother and daughter, someone who would find their discomfort interesting . . . that was all on one page, and then the story unfolded. 7. Do you plan on eventually writing and releasing a novel-length work? Yes. Wake Me Up is going to get one more copyedit this summer, and I’ll start the ball rolling all over again for its publication date sometime in November. This story is about a crime in Missoula, Montana, and what happens to the victim and the victim’s family afterwards. The first chapter is a Bonus at the end of Sandcastle and Other Stories. I wrote a second novel, and I’m halfway through a first draft edit on that one. This is tentatively titled The Shut-Ins, and it is a contagion horror/thriller set in an isolated, small Pacific Northwest mountain town. 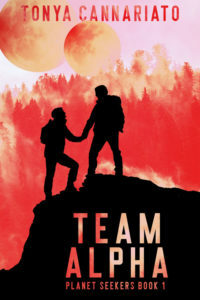 I also just started writing a new psychological suspense story set in the San Juan Islands, called The Volunteer, and I already love the characters in this one a hundred pages in. In my spare time, hehe, I finished the first draft of a screenplay that needs a really good revision. It’s a supernatural screenplay titled The Banishing of Antonella Novi, and it has a House of the Devil, and Harvest Home feel to it. 8. You seem drawn to the suspense and thriller genres. Why? My father loved horror films. I read MAD magazine and collected comic books as a kid, and I remember the spoofs of The Exorcist, Jaws, Halloween, Alien. So excited about Prometheus coming out. And my dad dragged all five of us to see any film we wanted to see, and of course we wanted to see them all. Psycho is a particular favorite. I read all genre of books, and I see all genre of films. All About Eve, The Hours, and Gosford Park are three films that I can watch anytime. The Hours, especially, captures on film that moment of epiphany a writer can achieve when thinking about a work in progress. 9. Who are your biggest influences and favorite authors? Both my parents were artists, and, now, looking back on my childhood, I totally understand their creative urges; they influenced me the most. My dad was not comfortable being away from his painting studio, even for one day, or a short driving vacation. If we drove to the Jersey shore — Seaside Heights rocks — it wouldn’t take long for my dad to say it was time to drive home — maybe four hours after arrival he’d say this. The biggest influence on my writing were Raymond Carver, Shirley Jackson, Rachel Ingalls, Stephen King, Ray Bradbury, Margaret Atwood, Chris Claremont, Neil Gaiman, Frank Miller, John Byrne, and a little-known author named Cris Freddi, whose book of interconnected short stories, Pork, should be required reading, but fades away. 10. What is your writing process? Are you a pantser or plotter? I am a tried and true pantser. I love getting into a character’s head and watching where he or she takes me. I don’t take notes, I don’t use note cards, or an outline, and some of my longer stories and novels have a large cast of characters. All those works in progress, all the separate story lines, I can somehow keep track of. I do read a lot, and research many subjects I need to learn more about. Preparing to write Wake Me Up I read a book that helped me understand why a father would act out the way he did, and another couple books on an affliction that becomes part of the mystery. Anything I get wrong I apologize here for. 11. Author’s choice: What question should I have asked that I didn’t? That’s the toughest question, Tonya, but here goes: how do you conquer your fears? And my answer is an unknown. I grew up with a huge fear of failure mixed with a perfectionist’s fear of success. I chose to be very private for the longest time, kept things close to the vest, and never let anyone into my world, real or imagined. I am taking life one day at a time. 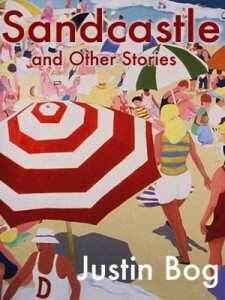 I’ve also linked Justin’s picture to his blog and his beautiful cover art to his book, Sandcastles and Other Stories. Join me in supporting this talented new author in his new writing adventure. Really awesome to find your lovely comment here, Cathy. I have been caught in a whirlwind of my own choosing, and Tonya is a calming influence. Thank you. Hi Kelly, gosh, the tour has kept me very busy, and Tonya was kind enough to start things off (in a surprise tour stop) — love that! Thank you for commenting here. Tonya, I thank you for inviting me to your blog. I loved your interview. The questions did make me think and reflect. Perfect.